Alan Kenny is the Head of Client Solutions at Ironbark with overall responsibility for the trustee services, product strategy and investment governance functions. He has over 24 years’ experience in the financial services industry overseas and in Australia. 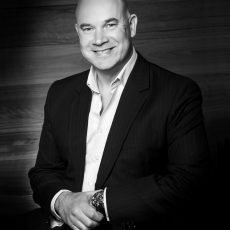 Before joining Ironbark, Alan was Chief Executive Officer at Federation Alliance, a managed account platform distribution business which operated as joint venture with Australian Unity. Alan was also General Manager, Product & Investment Services at Colonial First State where he had overall responsibility for driving the strategy for Colonial First State’s platform, investment and superannuation products as well as the FirstChoice Multimanager investment team. Alan worked at AMP as Head of Product & Pricing in AMP’s SMSF division with responsibility for the product development and management of AMP SMSF’s administration services and working with AMP’s wealth and banking teams to develop integrated SMSF segment solutions. Alan worked at State Street in Boston and Australia in a number of operational management, strategy and product development roles. Alan has a BA Hons degree in Business Studies from Dublin Business School.